No matter what your current level of physical shape is. Saint Fitness can design and develop a healthy fitness plan best suited for you. With over 20 years experience in health and wellness Saint Fitness can help any level of athlete achieve their next goal. 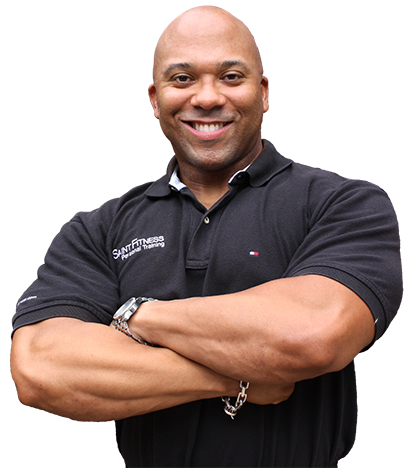 Dwain St.Julian will empower you with the knowledge, insight, vision and faith required to help you achieve your goals!